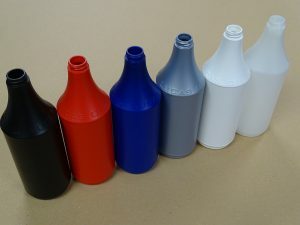 What color bottles do you currently make? We stock some colors for each type of material. Most common are red, white, blue, and silver. We can make an item in just about any color you need. Please contact us for more information.